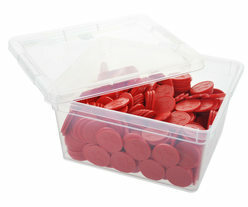 Box of 500 tokens. 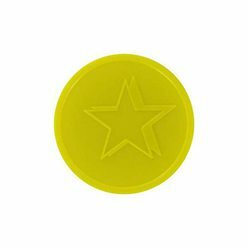 Token colour: yellow. Design: star. 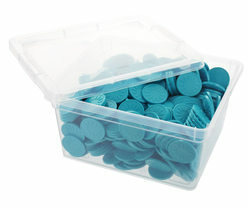 Box of 500 tokens. Token colour: red. Design: star. 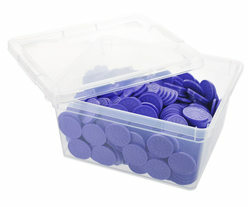 Box of 500 tokens. Token colour: purple. Design: flower. 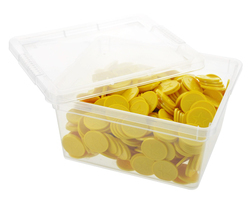 Box of 500 tokens. Token colour: aqua. Design: flower.